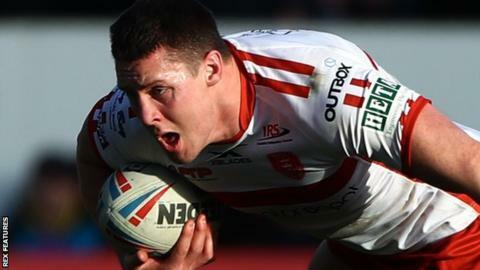 Hull KR captain Joel Tomkins has been banned for two matches for questioning the integrity of a match official. Tomkins, 31, pleaded guilty to the Grade D charge issued against him following Hull KR's defeat by Salford Red Devils on 23 February. The back row was also fined £500 for protesting over referee Liam Moore's decision to disallow a try. Tomkins has already served one match of his suspension having sat out Hull KR's defeat by Castleford on Friday. He will miss the Super League visit to Wakefield Trinity on Sunday. Castleford's Grant Millington has also been given a two-match suspension for repeated striking.